Click the button below to add the Humidity Tray - Medium Size - White 22" x 11 1/2" x 2" deep to your wish list. Finding white humidity trays has been impossible - until now! If you're growing with white outer pots, or under lights, you'll love these trays! 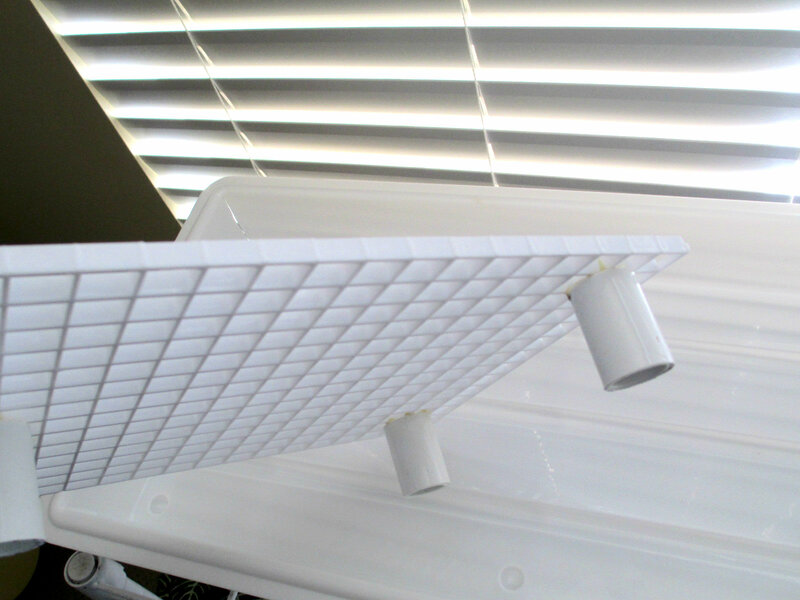 A white plastic grid sits on 1 1/2" legs, creating a reservoir in the tray that holds over 1 gallon of water. Great way to add the humidity your plants. 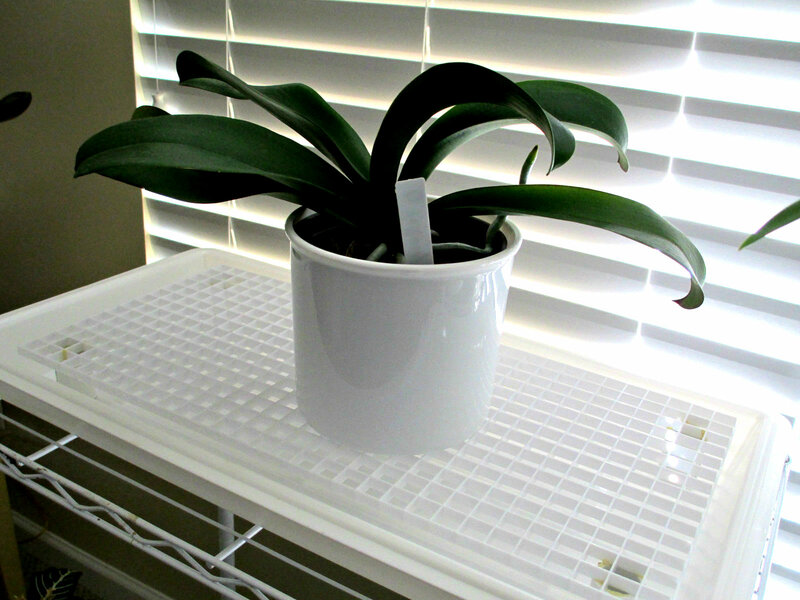 Simply fill the tray with water and watch your plants enjoy the moisture in the air as the water evaporates. Grower Tip: Adding a drop or two of household bleach to the water every couple of weeks eliminates mold and algae! Grow in a clean and green environment with these Humidity Trays (and our Hydroponic System)! 1 1/2" legs lift the grid creating a reservoir in the tray that holds over a gallon of water..
Price includes tray and grid. This is my second purchase of humidity trays from this company. First off, let me say that this company has the best customer service. They are very accommodating to their customer's needs. These humidity trays have helped my Christmas cactus, orchids and African violets survive the winter dryness in my Arizona home. They are all very happy now that they have humidity. I have to fill the trays about every 3 weeks. The large trays hold about 2 gallons of water. Medium trays about 1 gallon. They are very convenient and cleaner than pebble trays.